J. Krishnamurti is a profound teacher of life, the thinking mind and the human condition. Many of his teachings are how to free mankind from the thinking mind and its lifetime of conditioning. Through his teachings, he explains how to be totally aware of the mind’s thoughts and its repetitive nature. Thoughts are based on past experiences, nothing truly new and creative can come from the realm of thought. Krishnamurti encourages each person to find their own path and not to listen to religion and societal authority. True freedom can not be found by using a method or system. It must be found within, through stillness, silence and nature. Having your focus on awareness of every aspect of your life and seeing it as it is, this is the essence of meditation. Life is meditation. I have read many of his books and watched many of his videos. It has greatly expanded my understanding of true meditation and life. His outlook on life, society and the mind ring true. His teachings are timeless. If more people could incorporate some of his teachings, the world could become a better place. J. Krishnamurti core teachings are based on how one can be totally free – free from society, conditioning and authority. J. Krishnamurti said, “Truth is a pathless land.” It can not be found through any religion, organization, thought or belief. One must observe themselves through observation and relationships. One must observe their mind and not analyze or evaluate it. Your perception of life is based on your past conditioning. To become free, one must be free of the content of his consciousness. The screen of knowledge is the primary hindrance to freedom. Knowledge is based on past experiences and events. Knowledge and thought are based on time. We look at life through the screen of knowledge. To be totally free one must look at life in the present moment. We put too much value in thought and thinking. Nothing new can come from thought and we continue to make the same mistakes as a human race. J. Krishnamurti looks at life as true meditation. Meditation does not come through a method. Meditation is awareness. One should look at every aspect of their life through choiceless awareness, by becoming aware of their structure of thoughts, fears and emotions. As well as seeing ones conditioning of the mind from society and authority. To be completely attentive takes hard work, an alert mind and dedication to change in oneself. Freedom comes when we let go of the known. Meditation is one of the greatest arts in life, perhaps the greatest, and one cannot possibly learn it from anybody. That is the beauty of it. It has no technique and therefore no authority. When you learn about yourself, watch yourself, watch the way you walk, how you eat, what you say, the gossip, the hate, the jealousy, if you are aware of all that in yourself, without any choice, that is part of meditation. So meditation can take place when you are sitting in a bus or walking in the woods full of light and shadows, or listening to the singing of birds or looking at the face of your wife or child. Many of his talks stress the importance that nature has on mankind. We are all part of nature and we should pay closer attention to it. He asks us to consider what our relationship is with nature and how we are destroying it. We all come from nature and will return to it. Nature sustains us all. When you lose your relationship with nature, you lose your relationship with man. Nature is part of our life. We grew out of the seed, the earth, and we are part of all that. But we are rapidly losing the sense that we are animals like the others. Can you have a feeling for that tree, look at it, see the beauty of it, listen to the sound it makes; be sensitive to the little plant, to the little weed, to that creeper that is growing up the wall, to the light on the leaves and the many shadows? One must be aware of all this and have the sense of communion with nature around you. You may live in a town but you do have trees here and there. A flower in the next garden may be ill-kept, crowded with weeds, but look at it, feel that you are part of all that, part of all living things. If you hurt nature you are hurting yourself. Listen to the sounds of nature when meditating. See our You Tube channel. There are many similarities between Eckhart Tolle and J. Krishnamurti teachings. I have read and listened to many of their lectures. They both show the limitations of the human mind and how one can become free from it. They both talk about finding your own path to the truth and spirituality. Each talks extensively about the human condition and the conditioned mind. They both show how nature can play an important role in becoming more conscious. I would highly recommend you add both of these teachers to your list of readings. J.Krishnamurti Official Site – The official website of J. Krishnamurti. This site is a great resource for his work. It has many audio, video files and books. 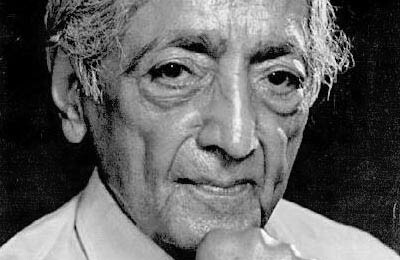 J. Krishnamurti You Tube Channel – His You Tube channel has many great videos from over his years of talks. The First and Last Freedom is one of Krishnamurti early books. This book cuts to the real truth. It examines the mind and its conditioning throughout time. He looks at how mankind just keeps repeating the same mistakes. He explains how the individual and society are connected. He delves into fear, simplicity and awareness. The Awakening of Intelligence offers a wide ranged of J. Krishnamurti writings and talks. It is an excellent accumulation of his teachings. This book is mostly based on question and answers session that have been recorded and then put on paper. This book touches on the role of a teacher, relationships, mans struggle, good and evil and the sacred. In Freedom from the Known, J. Krishnamurti offers insight on how one can free themselves from society and authority. It starts by changing oneself and then society and relationships as a whole can change. He talks about the tortured mind, self-transformation, conditioning, violence, anger, death, meditation and duality. Krishnamurti’s Notebook is a diary of his daily life spanning several years. It is one of my favorite books. He talks about his state of consciousness from day to day and what he notices about life, nature and the human mind. J.Krishnamurt shares insight into how to break the conditioned mind and be fully aware and present. J. Krishnamurti has helped me in expanding my understanding of the conditioned mind. The way society and authority can keep humans perpetually in dysfunction. The world seems to be making the same mistakes for centuries, through repeating the same methods and processes. J. Krishnamurti has thoroughly examined his own mind and offers insight on how you can do the same. To truly change oneself it takes hard work and complete awareness of your everyday life. To be fully aware of one’s actions, feelings and thoughts, then in choiceless awareness pure, action can be done.